Most of us mere mortals have changed a light bulb at least once in our DIY careers. Some of those more ambitious amongst us have possibly attempted the re-wiring of a plug before launching into assembling our latest flat-packed furniture purchase. At least some of us (numbers dropping off like flies here) have painted a room, from scratch, prepping the skirting boards and fixings with masking tape and sanding down uneven patches. Basically taking pride in our work. From here on in is where we start to lose a lot of people, they’re wandering off shrugging, dialling the numbers of handymen into their phones. But wait! This guide is for you! Yes it can be very daunting entering any hardware store unequipped with the terminology, especially if you think an Allen key belongs to some poor chap called Alan who just leaves his keys everywhere, but power tools are less scary when you can call them by name. That big contraption with the spinning sharp blades making the angry whirring noise? It’s actually just an Angle Grinder and it’s here to help – it gets its name from the angle of the cutting head. Okay, okay, you don’t have to even plan to do any DIY but just knowing the right words, tips and tools to use will make you sound cool. We have gathered some handy ones for you. We could almost stop right here. This may be all you’ll ever need. With interchangeable heads you can sand wood, scrape paint and handiest of all clean bathrooms with the special grout-removal blades. Dripping tap edging you, ever so slightly, closer towards a murderous rage? 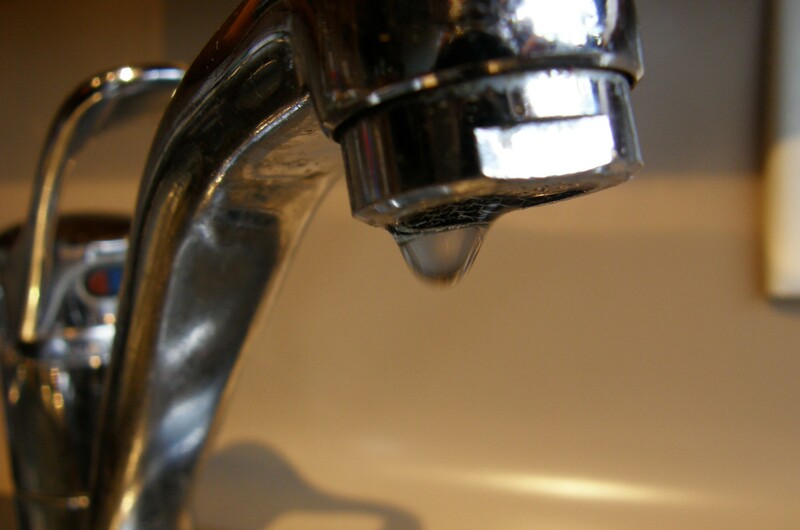 Use dental floss to quiet down the leaking tap until you get it fixed. Tie the floss around the rim of the tap and let the other end hang into the drain, use tape to position it correctly. The water should drip onto this and run down the floss. Creaking door giving you the shivers? Put talcum powder onto the hinges. Smelly fridge putting you off your food? Disinfect the fridge (yes you have to clean it, sorry) then stuff areas with newspaper and/or coal. This will absorb all the smell. No, not the stuff you inject into your lips but one of the handiest items to use for filling cracks along ceilings and in walls. It seems obvious but so many people neglect to use it before painting a room. Also perfect for filling in those holes left by towel rails and picture hooks that have fallen out after your previous shoddy work. Tut tut. Tip: use more than needed so it overflows, sand back down (with your multi-tool sander) to make the surface flush with the wall then paint over. These hand held devices use laser pointers to take accurate temperature readings. Useful for things like hot spots on engines and surface areas but they can do a whole lot more than that. Is the baby milk too hot? Is that the correct temperature reading on the oven dial? Is that computer overheating? How hot is that soup? Where is that draft coming from? How hot is this room? Prepare to become temperature obsessed as ‘let me check that for you’ becomes your new catchphrase. 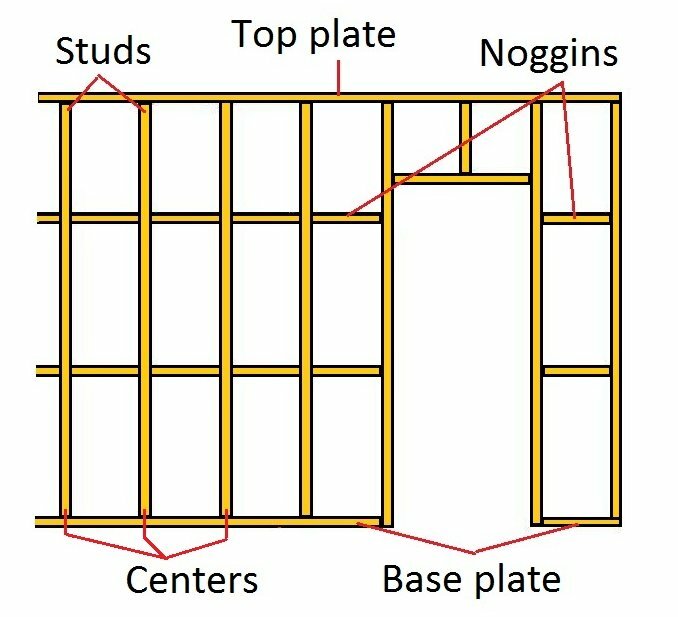 Noggins are timber built into a structure such as a studwork to provide an anchor so that you can attach or screw things into it. Whatever you do don’t call them planks or bits of wood. When you have finished painting for the day, place a layer of cling film across the can before you put the lid back on, then store upside down. This creates a seal and also allows that crusty, hard layer of paint, that usually forms overnight, to settle on the bottom, not the top. It’s useful to wrap your paintbrushes in a plastic bag to keep them moist for the next day’s work too. You didn’t put the lid on properly did you? Sigh. Act fast. Water can be used to remove a water-based paint spill and for oil-based paint spills use paint thinner known more commonly as white spirits, or Turps. Ok so not the most exciting term but it’s the proper term for the thicker posts at the end of the bannister on staircases and landings. ‘I’m gonna paint the newels’ sounds snappier than ‘I’m gonna paint the thick post at the end of the bannister and if I have time the one on the landing too’. Don’t ya think? WD-40 is to the DIY world what salt is to many Irish families. You put it on everything. Great for wiping crayon off walls, lubricating locks, stubborn zippers, screws and bolts. You simply must have a can in your house or you will be outed as a fraud. Beware, it’s rumoured that bike chains and frames can corrode over time with repetitive use of this. For that there is the new WD-40 Bike. Have this in your house too. Tool man! The staff working at your DIY store actually know what they’re talking about. They are your best source for advice, you will never know more than them. Get them to explain something to you then leave and pass off the knowledge as your own.